Ramadaan is a time for self reflection, sharing and caring and in this spirit Shukoor Mowzer and two friends started the feeding scheme Nakhilstan in 1984. They realized that many in their neighbourhood had no food for the Eid celebrations so they prepared the first two pots of food back then and distributed this on Eid day to those less fortunate and needy. 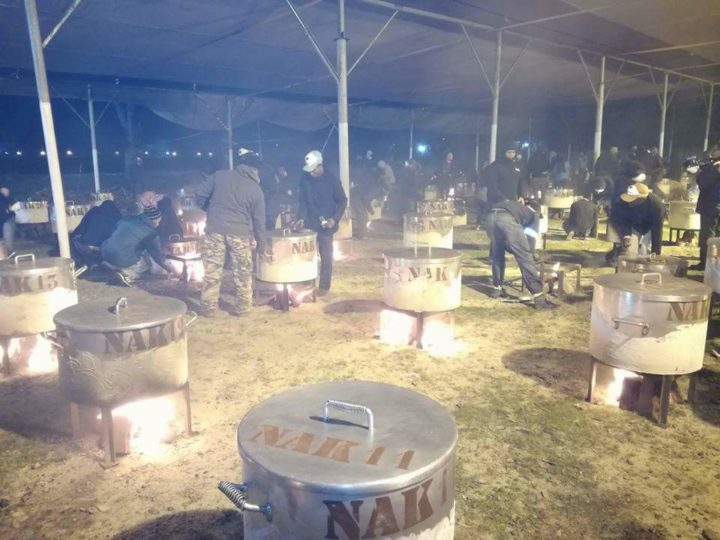 Today, 34 years later, Nakhlistan will again cook 169 x 130lt pots of Aknie to feed over 85 000 of the less fortunate in the Western Cape, on the day of Eidul Fitr. That is why they chose the name Nakhlistan, a Persian word which means ‘oasis’. Nakhlistan caters for all the needy in the Western Cape, no matter which religious background they come from. 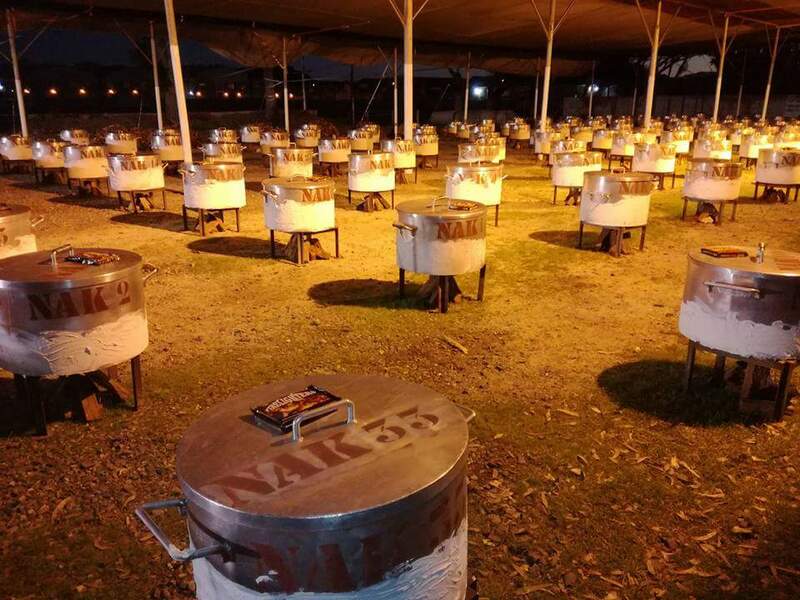 Muslims are obliged to pay alms to the needy and during the month of Ramadaan, when Muslim’s Fast from before sunrise to after sunset, Nakhlistan is that vehicle to distribute these alms via Food Parcels and cooking big pots of Aknie, an aromatic meat, potatoes and rice dish. Hundreds of people come to witness this cooking phenomenon, the night before Eidul Fitr and this year it is Thursday 14 June 2018 at the Callies Rugby Field in Noll Avenue, Rylands Estate to experience how 4 tons of meat, 3.7 tons of rice, 3 tons of potatoes and 2 tons of onions together with spices is cooked on a wood fire. The smell of the burning wood, the steam and aroma from the huge pots, are a sight to behold. The broad areas of distribution include Atlantis, KalbasKraal, Danoon Mosque, Khayelitsha, Hanover Park, Newfields, Bonteheuwel, Manenberg, Valhalla Park, Kensington, Factreton, Garden Village, Kriefgat, Sherwood Park, Macassar, Ocean View, Vrygrond, St. Montague Village Cafda, Masiphumelela, Lavender Hill, Sea Wings, Hill View, Blackheath, Sarepta, Blue Downs, Belhar, Delft, Blikkiesdorp, Mandalay, Hout Bay, Clarkes Estate, Elsies Rivier, Victor Verster Prison, Ruyterwacht, Old Ages Homes in WC, Kewtown, Athlone, Mowbray, Uitsig, Chattsworth in Malmesbury, Bishop Lavis West, Phillipi, Heideveld, Capricorn, Crossroads, Langa, Gugulethu and Nyanga. This year, Ramadaan is during the harsh Cape Winter months and over and above the cooking of the big pots of food for Eidul Fitr distribution, Nakhlistan also handed out soup, sandwiches and blankets to areas affected by the winter weather. Nakhlistan is an NGO, PBO, is not state funded and relies solely on the support from our generous community. Nakhlistan Thanks all our donors, sponsors, businesses, community and volunteers for their loyal support over the past 34 years.